Dry turkey is a Thanksgiving nightmare. We’ve all been there — at the table slathering the Thanksgiving turkey with gravy to keep it from sticking to the roof of our mouths! There’s no faster way to ruin a dinner! Thanksgiving is a time to demonstrate your culinary prowess, but sometimes the centerpiece of the table falls short. The sides should never outshine the star of the day — the turkey. Making the sacred Thanksgiving bird is no easy task. Cooking a turkey is often anxiety-inducing and laborious, not to mention all the premium space the turkey hogs in the oven. To maximize oven space, many Thanksgiving chefs opt to use a turkey roaster. But nothing compares to the golden-brown crispiness of a fried turkey. If you’ve never fried a turkey before, you’re in for a delicious surprise! Keep on reading for all the tips and tricks to deep fry your Thanksgiving turkey to perfection. In recent years, turkey frying has become a Thanksgiving tradition for families around the country. 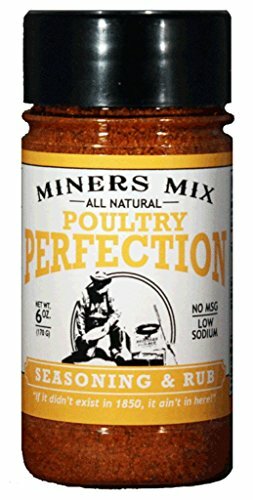 It only takes one taste to see how this Southern-tradition came to captivate people around all over the country. The traditional Thanksgiving turkey is slow roasted for hours, after a pain-painstaking preparation process. Then once it’s in the oven, you have to baste the turkey generously to prevent it from drying out. It’s frustrating that hours and hours of work can still leave you with an awfully dry bird and sporting slimy skin. Tabletop turkey roasters aren’t much better than the oven and sometimes can leave the skin much drier and slimy. Fried turkey is easier to make and tastes much better than roasted turkey. The earliest recorded deep-fried turkey was brought to a golden crisp by a Louisiana man in the 1930s. Slowly the practice took hold in the Southern United States. A tradition of outdoor crawfish boils made the transition to turkey frying sensible for many Southerners. Prior to the 1980s, deep-fried turkey stayed close to home in Creole country. However, after domestic darling, Martha Stewart featured a deep fried turkey in her 1996 Thanksgiving spread the practice skyrocketed in popularity. Fried turkey’s crisp skin and juicy meat captured popular attention over the last few decades. Today, Americans all over the United States enjoy deep-fried turkey with their Thanksgiving dinner. Skip the Turkey Roaster: Deep Fry! When is the last time the family crowded in front of the turkey roaster? Frying a turkey is an event. Deep-frying creates a certain showmanship that traditional roasting doesn’t, and many families turn turkey frying into a pre-Thanksgiving party. Fried flavor has enticed plenty of people to abandon their turkey roasters, and grab some oil. Say goodbye to slimy, limp skin or dry meat! Deep-fried turkey is tastier than roasted birds — the white meat is moister, and the dark meat is more flavourful. Not to mention, the skin is extra crispy. 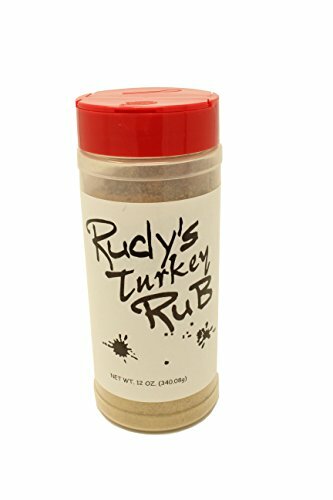 You can also season your turkey any way that you like, and the flavour comes through at the end surprisingly well. Deep-frying your turkey can cut the cook time in half, which makes all the difference on a busy Thanksgiving day. Deep-fried turkey cooks at the quick rate of 3-4 minutes a pound, instead of 20 minutes a pound for its roasted counterpart! See: How Long to Deep Fry a Turkey for more details. Fried turkey is excellent for huge Thanksgiving gatherings — the decreased cooking time means you can fry two turkeys in the time it takes to roast one! More turkey means more leftovers, and nothing is better than eating those post-Thanksgiving sandwiches all week. Deep-frying is the most popular way to prepare a crisp, fried turkey. 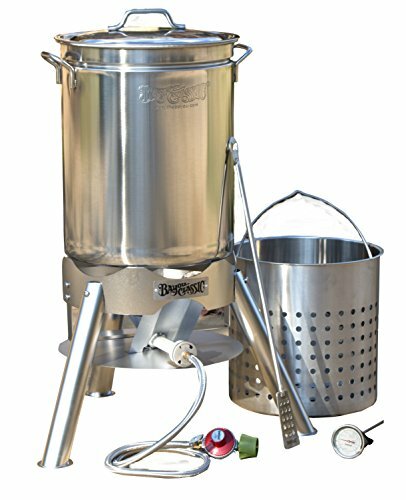 However, deep-frying your turkey requires some specialized equipment and there are many options available. 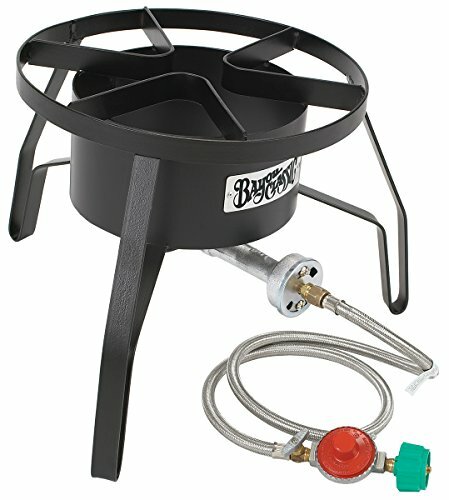 Traditionally, turkeys have been deep fried outdoors using a large metal pot heated by a propane-fueled burner. The turkey is slowly lowered into several gallons of oil heated to 350 degrees using a metal hanger and lowering mechanism. Many people in cooler, Northern states have brought the deep-fried turkey indoors. 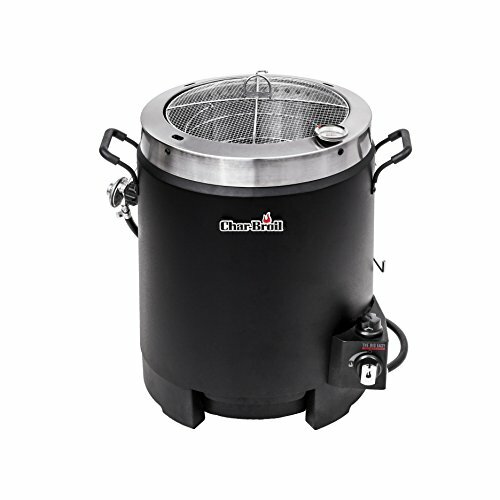 Indoor fryers like this one from MasterBuilt Butterball are a popular option for cold-weather dwellers, who don’t want to face chilly weather to get a crispy bird. 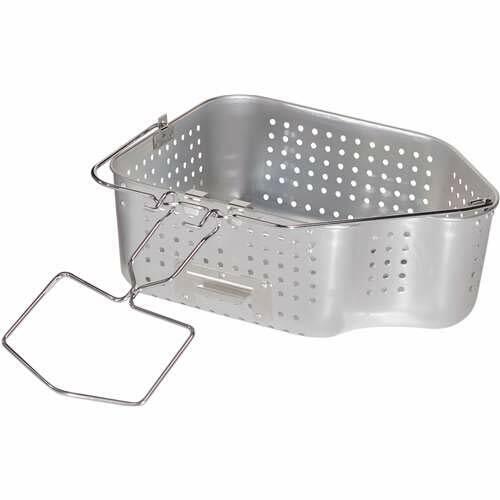 Indoor fryers are a bit safer than outdoor models because they are enclosed and sit on the counter-top. However, they usually do not accommodate a bird as large as an outdoor fryer is able to cook. In addition to deep fryers, air fryers are a great alternative for health-conscious cooks. 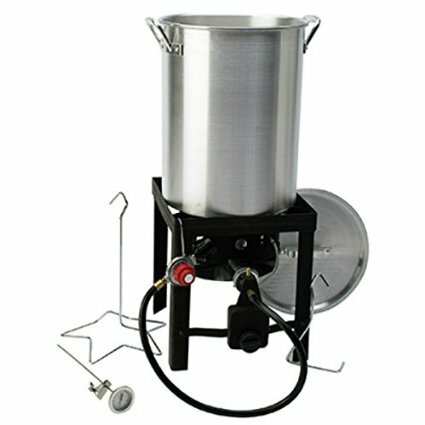 In terms of health, air fryers produce turkeys that are similar to what would come out of the oven in a turkey roaster. But, they’re far more delicious! 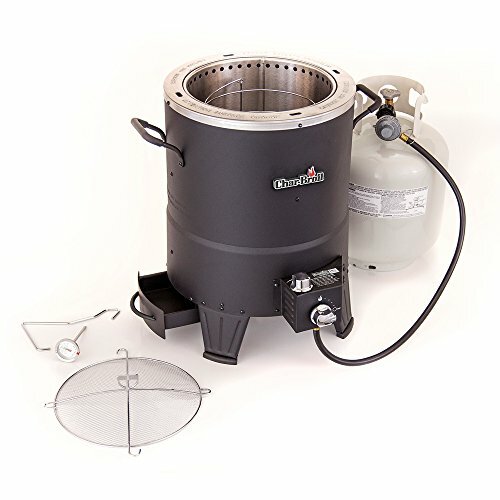 Air-fryers use inferred heat, instead of oil to achieve crispy skin and juicy meat. Wood chips can be added to outdoor air-fryers to infuse a smoky flavor. Indoor air fryers are a great alternative for colder climates. However, wood chips cannot be added to indoor fryers — unless you want to smoke your family out of the house! 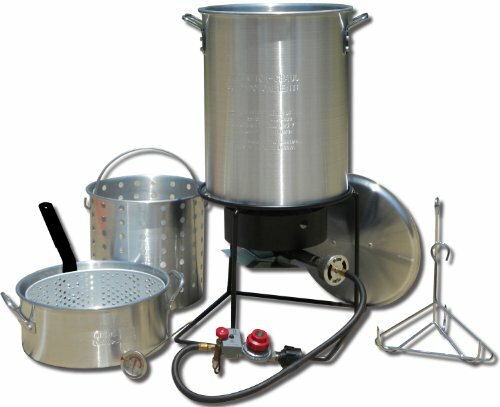 Air-fryers are safer than fryers that use oil. 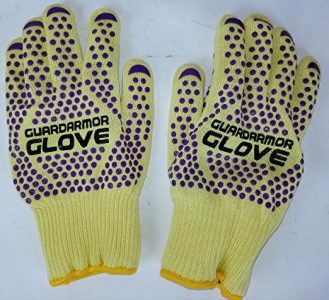 They are a popular alternative for those concerned with the potential dangers of using oil to deep fry. With proper precautions, deep frying can be done safely and easily. For more details, check out our review of the top-rated Char-Broil Big Easy Outdoor Air Fryer. Sometimes the most exciting things can be a bit dangerous, and turkey frying is no exception. Proper precautions must be made before, during, and after the frying process to ensure everyone’s safety. Make sure you always follow all the instructions in your owners’ manual, especially guidelines for turkey size and oil amounts. Using a turkey that is too large, or using too much oil, can cause dangerous splashes. It is vital that your turkey be thoroughly thawed and free from ice before frying to avoid any mishaps. Also, always keep a fire extinguisher on hand just in case — water can’t help if you have an oil fire. Always remember that children, pets, and alcohol have no place near a deep fryer! Be aware and you will have a safe, fun time to make the best turkey you’ve ever tasted. Check out this entire article dedicated to Deep Fried Turkey Safety. We’re all tired of bland, dry turkey that comes out of the oven in a turkey roaster. Wow your family this year with a crispy, juicy fried turkey. 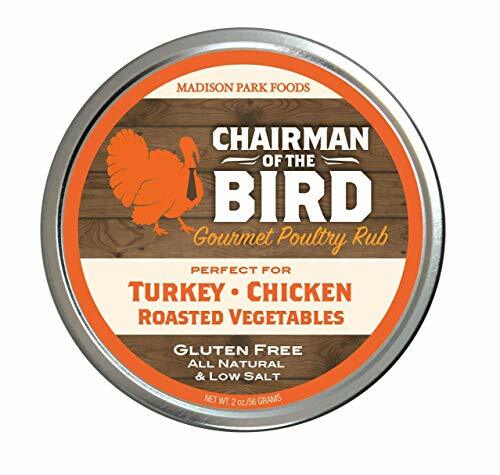 Combine superior flavor with convenience and you have a Thanksgiving winner! Fried turkey’s superior taste helped catapult it to plates around the United States and around the world. Frying requires a lot less prep time than traditional turkey roasting. Freeing up more precious moments to prep your sides and spend time with your family. A new tradition adds extra flair to the annual Thanksgiving dinner. Start a new tradition this year — fry your turkey instead of going with the old turkey roaster!